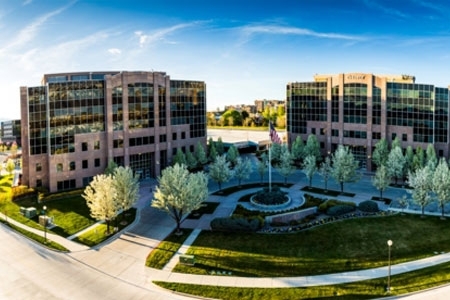 EverWest, a wholly-owned subsidiary of GWL Realty Advisors (GWLRA), is an institutional real estate investment management firm based in Denver, Colorado. A full-service firm with a vertically integrated structure, it has served as the U.S. investment platform for GWLRA since early 2018. EverWest evolved from its predecessor company, Alliance Commercial Partners, which had a 20+ year operating history. In early 2019, GWLRA acquired Guggenheim Real Estate, the private equity real estate platform of Guggenheim Partners and the operations were merged into EverWest’s national platform. The Guggenheim acquisition enhanced EverWest’s suite of institutional investment products and increased the firm’s geographic and property sector coverage. In order to achieve the diverse investment goals and objectives of our clients and shareholders, EverWest offers a variety of investment strategies and styles accessible through joint ventures, separate accounts and commingled funds. Our team critically evaluates dozens of real estate investment opportunities every month to find the opportunities that best fit the needs of our investors. To create alignment, senior professionals are involved in every transaction from inception to disposition, and where permitted, we may co-invest alongside the investor. The Asset Management Team manages the strategic direction of a portfolio of investments, both on an individual basis and a portfolio basis. Reporting functions such as data tracking, investment valuations, and cash flow analysis for each asset, fund and separate account are conducted quarterly to ensure property performance for both the equity & structured finance assets. The Property Management Team is responsible for the growth and strategic direction of the property management business within EverWest Property Management, a subsidiary of GWL Realty Advisors US, Inc.. In addition to day-to-day activities related to the fiscal, administrative, and physical operations, Property Management also assists in acquisition activities with due diligence support.